For 17-year-old Nova Morgan, summer in coastal Emerald Cove, Oregon is about waiting tables at her hippie grandpa's diner and turf wars between the locals and the "cakes", their name for the rich summer residents. Nova hates the cakes. One of them broke her heart and spread vicious rumors about her. Then there's what they did to her shy best friend, Alex Pace, stripping him of his clothes and his dignity one night when he was just fourteen. Still, Nova won't settle for being a victim or some small town cliché. She's going to get out of Emerald Cove and pursue her dream of becoming a homicide detective, no matter what it takes. But this isn't just another summer. Nova is developing feelings for Alex she doesn't want to have, but he's acting like a different person, keeping secrets and picking fights with the cakes. Then one of the cakes goes missing, and is found dead a week later, a foxglove stuffed into her mouth. A rumor goes around that Alex was last seen with the girl, bringing the tension between the cakes and the locals to an all-time-high. When a second cake is found dead and Alex disappears, all evidence points to his guilt. There are only two people in town who think he's innocent, Nova and her worst enemy, Jenika Shaw. 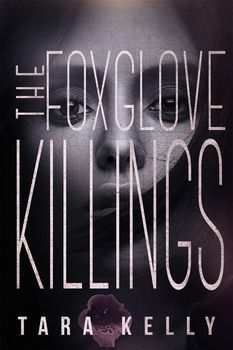 Nova and Jenika have to work together to uncover the truth, but doing so will put them both in the path of the killer and the truth may be something neither of them are prepared to handle. When her best friend is accused of murder, 17-year-old Nova Morgan works to uncover the truth. Caught in the path of a killer, she realizes the truth may be something she isn't prepared to handle.